Starting in 2010 work will begin in Coventry to replace the street lighting. Balfour Beatty in partnership with Coventry City Council, will carry out the work as part of a multi-million pound contract to improve lighting. The 25-year concession will involve the design, installation and maintenance of street lights, signs and bollards during the 5-year investment period, and the ongoing maintenance of all existing and new equipment. The contract will deliver a number of technical innovations which add up to a 38% energy reduction across the city including a centrally-controlled dimming system to allow light levels to be reduced when streets are quiet. "The new street lighting will be the envy of other cities and will help improve the environment and make the city safer at night. We'll be using state-of-the-art lighting systems that will provide us with significant savings on our energy bills". 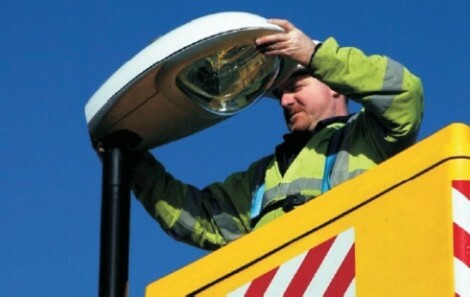 "We look forward to working in partnership with Coventry City Council to transform the city's street lighting. We will develop infrastructure within the area to enable us to deliver the contract and will create local employment opportunities".